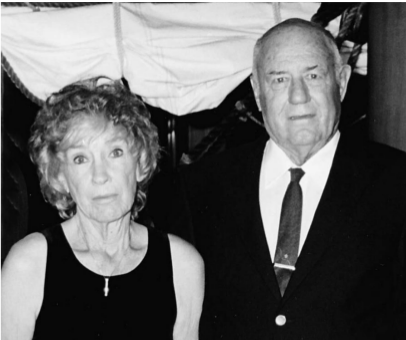 William L. Bird, 89, passed away Dec. 26, 2015, and Glenda (Eldredge) Bird, 80, passed away March 28, 2015. Bill and Glenda were married for 60 years. Bill Bird (as he liked to be called) was born June 25, 1926, to Leroy Bird and Lillian Bristol Bird in Bluebell, Utah. Bill served his country in the United States Army during WWII in the Philippines. Bill married Glenda June (Eldredge) Bird Nov. 5, 1955. She was his whole world and preceded him in death just eight months prior. Bill was a man of few words; however, when he did speak, everyone listened to his wisdom. He refused to ever speak poorly of anyone. He had a heart of gold and would give a stranger the shirt off his back. Bill is survived by brothers Wayne, Arvil and Dennis; sister Patsy; children, Sherrill Kuhl, Loreen Johnson, Tanya Webb and Tracey Tullius; grandchildren Donna, Tania, Mark, Cyndi, Christi, Travas, Talisha, David and Ryan; great-grandchildren, Gunnyr, Amber, Justin, Christopher, Jeremy, Breanna, Frank, Jocelyn, Derek, Ethen, Haylee, Taitum, McKinley and Treyvin; and one great-great-grandchild, Aiden. He is preceded in death by his wife, Glenda Bird; daughter Marlene Bird; grandson Curtis Johnson; parents, Leroy and Lillian Bird; brothers Vern, Doyle, Larmie and Jerry; and sister Rola. Glenda Bird was born Feb. 23, 1935, to Clyde Eldredge and Elva Eldredge in Vernal, Utah. Glenda was beautiful inside and out. She loved to dance and loved romantic cruises with Bill. Her passion was to care for her family. Bill and Glenda were inseparable, best friends and soulmates. Glenda is survived by her children, Tanya Webb and Tracey Tullius; grandchildren, Christi, Travas, Talisha, David and Ryan; and great-grandchildren Ethen, Haylee, Taitum, McKinley and Treyvin. She is preceded in death by her parents, Clyde Eldredge and Elva Eldredge; brothers, Larry and Gale; and sisters, Veone and Donna. Arrangements have been entrusted to the care of Metcalf Mortuary, 435-673-4221. Please visit their website online for condolences, complete obituary and funeral listings.